Compact, elegant and of high quality: this is how the Bega 77325 LED spotlight with earth spike could be described in a few words. The barely 17.5 cm tall outdoor light - kept in an elegant graphite colour - stands out for its subtle purist appearance and the high quality of its components. Thereby, the 77325 spotlight is ideal for those who appreciate a simple and down to earth design. The reflector is made of anodised ultra-pure aluminium and the earth spike is made of glass fibre reinforced polyamide. A clear safety glass protects the LEDs. The light head houses a powerful LED module. 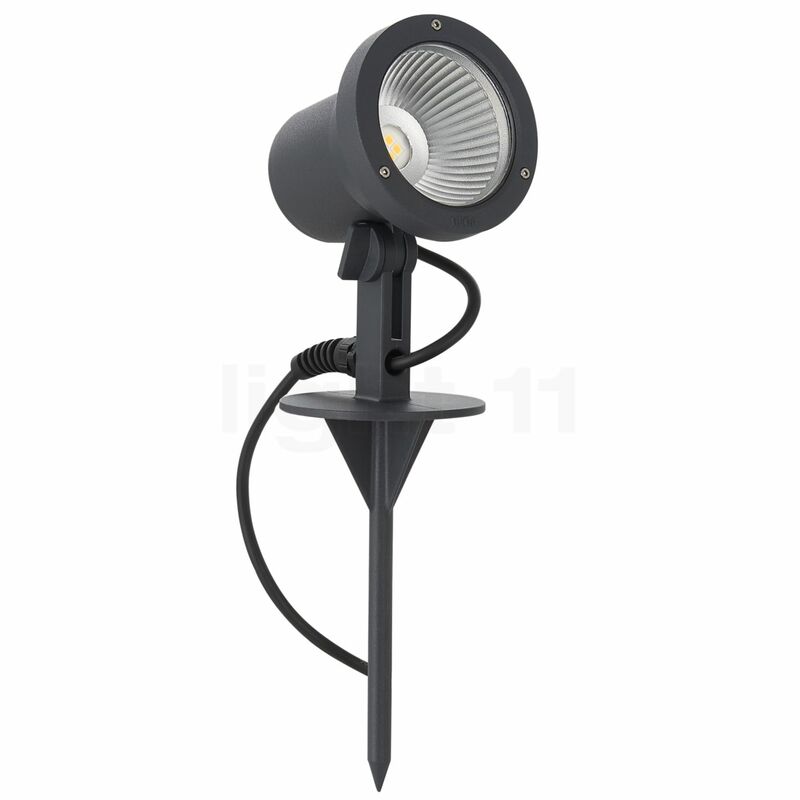 The Bega 77325 LED spotlight with earth spike is a highly flexible outdoor light. Firstly, you may easily change the location of the spotlight by means of its practical earth spike. Secondly, the swivel range of -50° to 80° allows for a precise adjustability. The Bega 77325 spotlight is equipped with modern LEDs. These consume as less as 4.2 watts to generate a luminous flux of 490 lumens. In this way, the spotlight saves energy and still delivers more light than a conventional 40 watts incandescent lamp. The 77325 is classified IP65, which means that it is protected against damage by dust and water jets. Furthermore, the outdoor light comes ready to install with a 5 m supply line and a power plug. Tell other customers and us about your experiences with the 77325 - LED Spotlight with Ground Spike ! 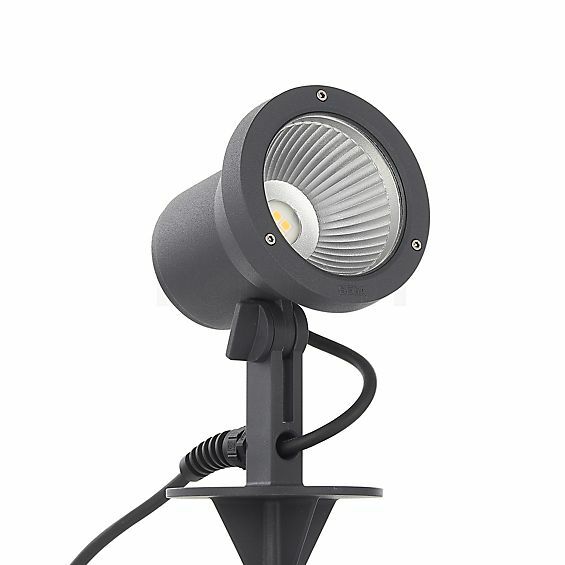 The Bega 77325 spotlight is an immensely versatile outdoor light. Near a path, for example in the garden, it helps you with orienting yourself by night and thus increases the safety in the outdoor area. Moreover, the spotlight also contributes to safety when installed next to stairs as it reduces the danger of stumbling. Furthermore, the 77325 spotlight is ideal to put the architecture of a building in the limelight by directing its light towards a façade. The Bega 77325 spotlight also really comes into its own on a terrace, a balcony or a driveway. There the agile light source provides optimal orientation. It may also highlight a tree, a flower bed, a bush or a hedge. By means of the earth spike, which is already included in the scope of delivery, you may realise nearly any of your ideas. You are the designer of your own light show.